I’m sure you’ve heard the quote, “ jack of all trades, master of none.” Well don’t associate that phrase with all time tennis great Venus Williams. Not only has Venus Williams dominated on the tennis court she has carried her success over to her entrepreneurial career and other endeavors. 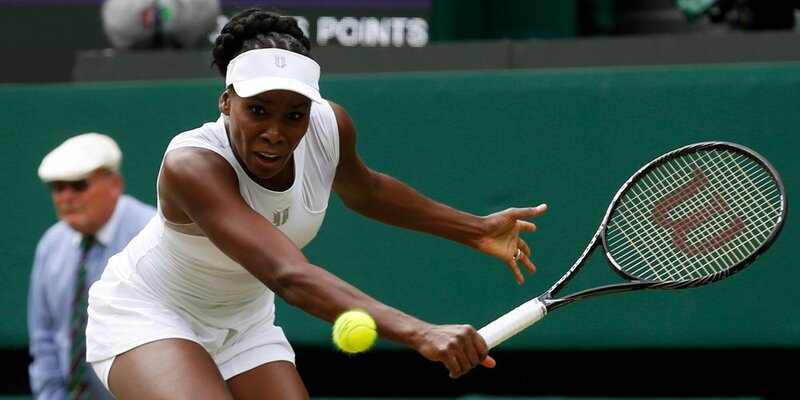 Venus Williams left school to go pro in her early teens but that didn’t stop her from completing her degree. She has used her time wisely to advance her career in other aspects such as design, fashion, and architecture. Venus is the owner of her own clothing company called EleVen, her own interior design company Vstarr interiors, and even is a minority owner for the Miami Dolphins with her sister as well as franchise owner of multiple jamba juice locations. Venus also opened up a resource center in honor of her slain sister in her hometown Compton, California to provide an outreach and social services center. Venus Williams credits her parents for teaching her there is more to life than just sports and even remembers her dad forcing her and her sister to listen to recordings on foreclosed properties according to a recent article in Inc.
Venus Williams states that sports is so much like business which has helped her succeed in the business sector. She also credits having her priorities straight and a good team as reasons to why she’s able to master so many things at one time. Venus is a great example, of someone at the top of their sport but still making time to pursue other career endeavors they may have. You can be good and do more than one thing, there is nothing wrong with being versatile just as Venus has exemplified.